As summer draws ever closer and the heat starts to rise, we become eager to get out of the house—dogs and cats included. Of course, spending more time outside with our pets is great, as it enables us to have fun, exercise and bond with them; however, given that the Long Island summer is so hot, not only are ticks rife but heat exhaustion is also a real risk for our pets because they are covered in fur. Read on for four top tips to help you make sure your pet stays safe this summer. Often occurs because animals get trapped in a hot environment, such as a car or on one of Long Island’s beaches, and they can’t cool themselves adequately. Common cause of overheating in animals with already compromised airways, such as bulldogs, as they find it harder to pant, and as a result, increase their body temperature. Naturally, pets will try and stay away from the midday sun by wanting to remain inside, for example lying on the cool kitchen tiles. 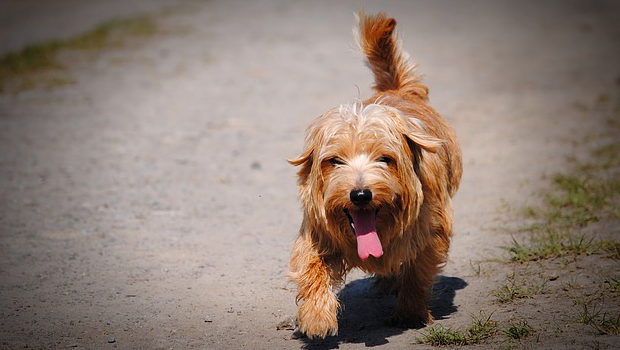 In order to help your pet avoid overheating and injury from walking on hot surfaces, it is important that you try and avoid the hottest part of Long Island summer days. Instead, take your pets out in the early morning or in the evening. If you can only get your pets out during the midday sun, then aim to find a place with as much shade as possible and access to water. The Long Island Central Pine Barrens Trail is a good option due to the tree cover and access to fresh water for your pets to enjoy. As the weather warms up, and as we all get outside to enjoy the Long Island summer, ticks also come out. It is important to be aware of these nasty little bloodsuckers and remember that our pets are also at risk of getting bitten. If you notice that your pet has been bitten, then you can either seek the help of a vet or can remove the tick yourself. If you opt for self-removal, then always use tweezers, as you must make sure that the entire tick is removed. Be sure that the area is cleaned well afterward. Also, it’s important to keep an eye on your pet post procedure to be on the look out for any strange symptoms. To conclude, by following these top four tips, you and your pet should have a safe and happy summer. However, do not hesitate to contact a vet at any point to help guide you if you are unsure about anything or if you have a concern or a question. Dr. Michel Selmer is a Certified Veterinary Acupuncturist and is currently pursuing a master’s degree to become a master practitioner of Traditional Chinese Veterinary Medicine. His practice, Advanced Animal Care Center, is located at 260 Evergreen Ave., South Huntington. For more information or to make an appointment, call 631-FOR-PETS (367-7387) or visit AdvancedCareForPets.com.